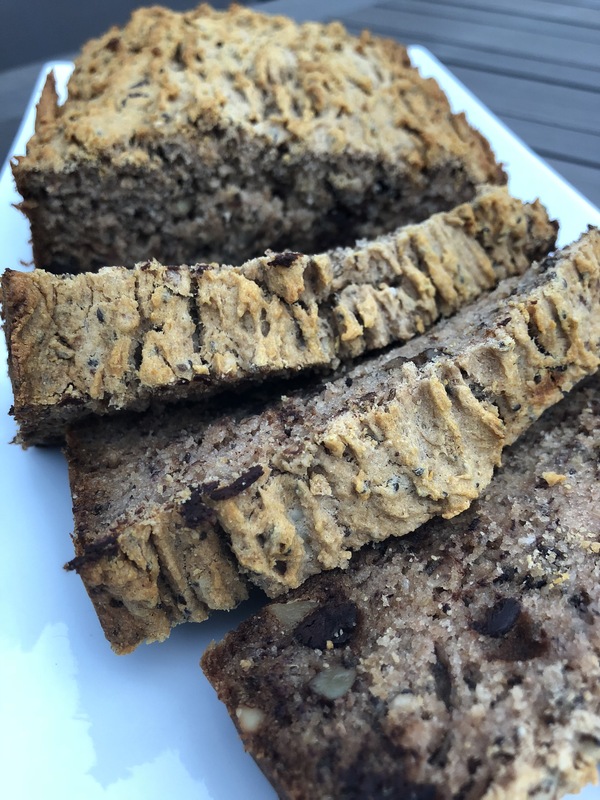 Now that I’m in the final stretch of my pregnancy, I am craving comfort foods, and what is more comforting than a fresh loaf of banana bread out of the oven? Well, the only thing better is a gluten, dairy and refined sugar free banana bread fresh out of the oven! Banana bread is one of the easiest things to create without sugar because bananas are one of nature’s sweetest fruits. They are also packed with nutrients, and even more so as they ripen. You will need 2 very ripe bananas for this recipe. This is a perfect recipe to share with family and friends or to enjoy for a breakfast treat. It’s packed with fibre and tons of nutrients, with a hint of sweetness, you’ll feel satisfied and satiated for hours!